Golden Gem presents Summer Showcase 2016. Join us for an awesome Summer evening with live music, food, drinks and friends at Music Space Studios! 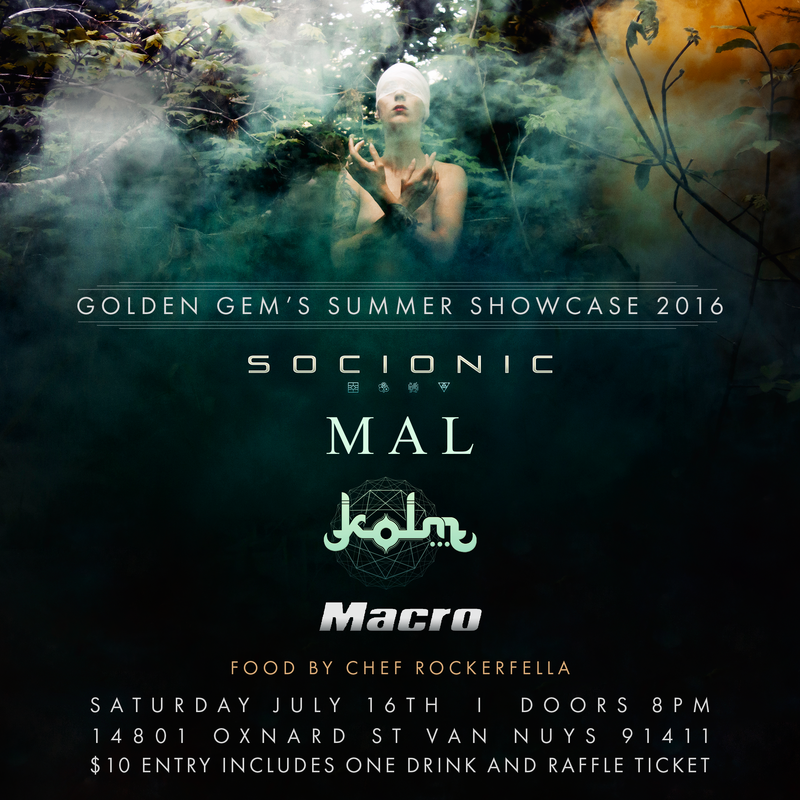 Live performances from MAL, KOLM (WIth Visuals by Abhi Thati), Socionic, and Macro. Entry admission will be $10 and includes one complimentary drink and a raffle ticket for some cool prizes!